One of the leading bricklaying contractors in the area. Mark Whitely Group was brought about by owner and Director Mark Whitely’s passion for the construction industry. Mark qualified as a bricklayer in 1985 after completing his apprenticeship with a local building firm. Forming Mark Whitely bricklaying in 1987. Since then he has strived to deliver excellent craftsmanship and has expanded his successful bricklaying business to include civil engineering and groundworks enabling a more comprehensive service within the construction industry. Through practical planning we are able to offer a comprehensive site service offering highly skilled Civil Engineers, Ground Workers, Bricklayers, Plant Operatives. 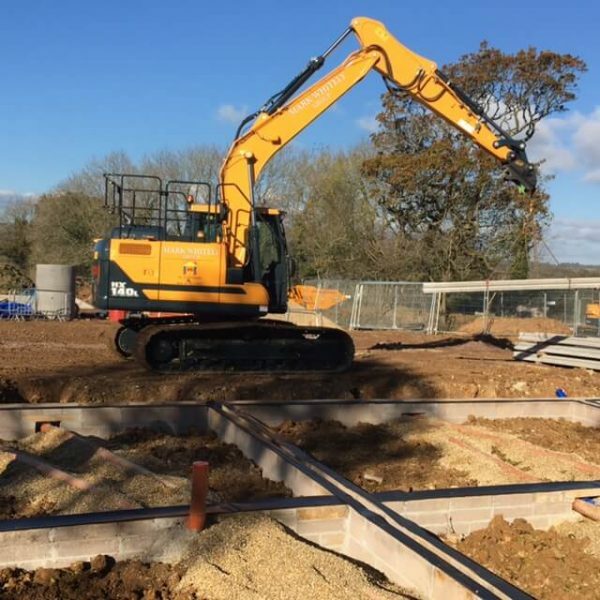 All our plant is constantly updated to keep up with the ever-changing demands and safety requirements of the construction industry and we can also supply CPCS qualified operators. Registered Address – Stafford House, 10 Prince of Wales Road, Dorchester, Dorset, DT1 1PW.